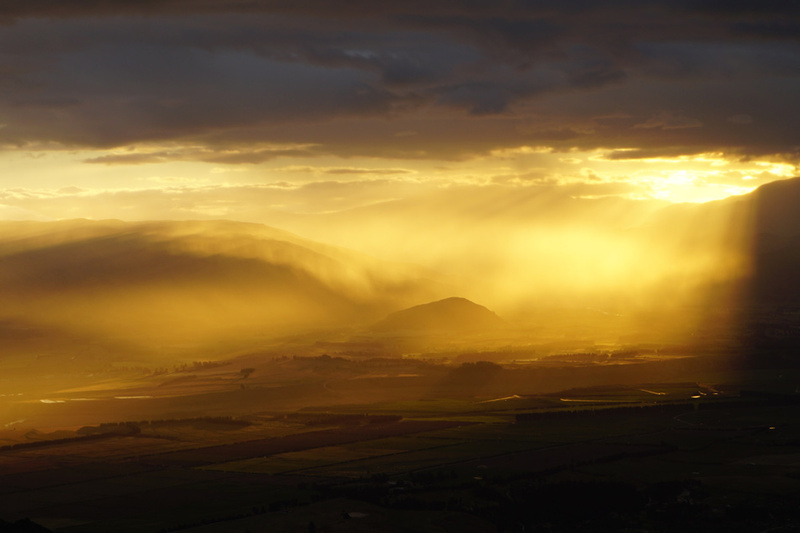 New Zealand has landed itself on the bucket list of many cyclists with its majestic scenery and tourism-focused nature. 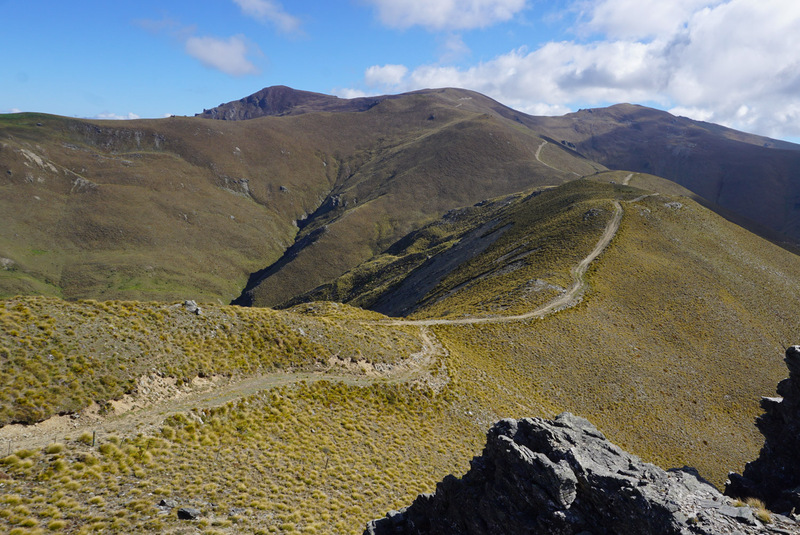 Riders flock to the famous tracks and bike parks of towns like Roturoa, Nelson and Queenstown, and tourers find longer adventures on NZ Cycle Trails' many well-signed regional touring routes. 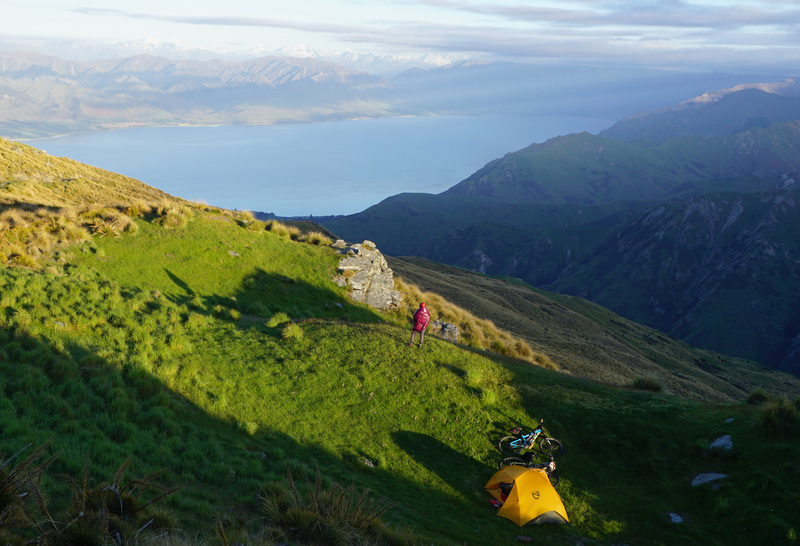 But over the past few years, New Zealand has begun to capture the interest of bikepackers as additional long-distance trails have opened up to mountain bikes, and bikepacking events like the Kiwi Brevet and Tour Aotearoa have gained more attention abroad. I was fortunate enough to spend the past month bikepacking in New Zealand and experiencing first-hand just how the island nation has built a name for itself as a cycling destination. After four weeks of riding on the South Island, I returned home inspired by the dedication, passion, cooperation, and creativity of all the folks who have turned ambitious cycling visions into routes for others to enjoy. The future of bikepacking in New Zealand is bright. "It's the hottest thing in bikepacking," Cjell Mon�" told me after he rode The Old Ghost Road a few months ago. Cjell is the eccentric fellow behind Mon�" Bikes, and he was insistent that this was a trail not to be missed. The Old Ghost Road is a remote 53-mile track, a decade in the making, cut through the South Island's Lyell Mountains and the Mokihinui Gorge, adorned with a series of backcountry huts. A year ago, Bike’s managing editor Nicole Formosa experienced the trail as it was nearing completion, and with the last miles of construction now finished, the trail is fully open. The Old Ghost Road is nothing short of a masterpiece. Starting in the abandoned mining town of Lyell, the route climbs more than 4,000 feet up the remains of a never-completed road before traversing the rugged mountains that stand high above the bush line. The crews that built the trail labored tirelessly to blast kilometers of narrow bench into the hard granite of these peaks to reach the site of the Ghost Lake Hut, perched on the edge of a towering cliff. Below this iconic hut, the trail descends dozens of elegantly tight switchbacks and 200 vertical feet of stairs to reach the floor of Stern Valley. Miles of swoopy singletrack beneath the rainforest canopy delivers grinning riders to the mighty Mokihinui River. Its azure water has carved a deep gorge through the mountains, and the Old Ghost Road clings to the side of the canyon and crosses countless suspension bridges to reach the end of the route near the tiny town of Seddonville. But this all did not come cheaply–the trail boasts a price tag of more than $6 million USD, funded by a combination of public and private supporters. Word about the Old Ghost Road has spread quickly. By December of this year, most huts were fully booked well into 2017, and shuttle services were being kept busy ferrying riders and bikes from one end of the trail to the other. Nearly all riders we met on the trail were traveling hut-to-hut for 2 to 4 days, taking advantage of the relatively posh accommodations in the trail's five huts–wood stoves, kitchens, padded bunks, screened windows to hold the obnoxious sand flies at bay, and fresh water. These riders carried large daypacks and lashed sleeping bags to their handlebars or to a small rear rack, but traveled far lighter than they would have if they were camping. The hut-to-hut option makes the track very accessible to first-time bikepackers. 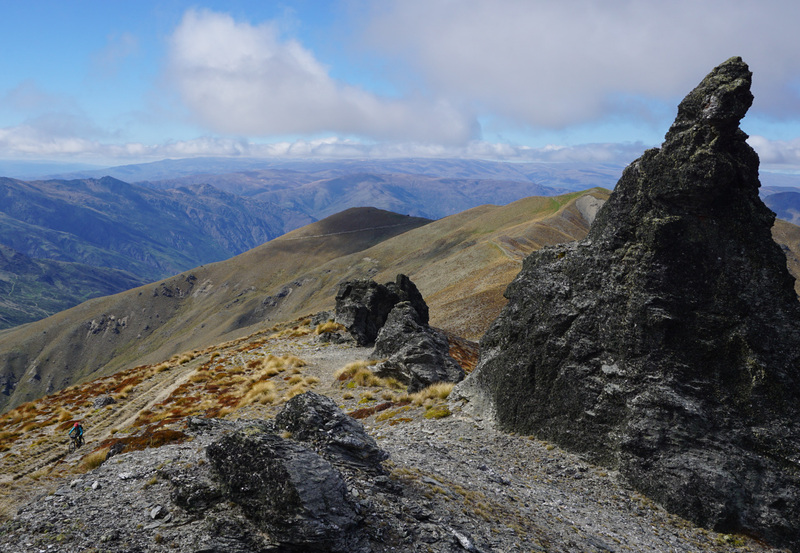 A pair of multi-day tracks that are among the New Zealand's popular Great Walks hiking trails have been recently opened to mountain bikes. As is common across the globe, most popular hiking trails, particularly in national parks, are closed to mountain bikes in New Zealand. 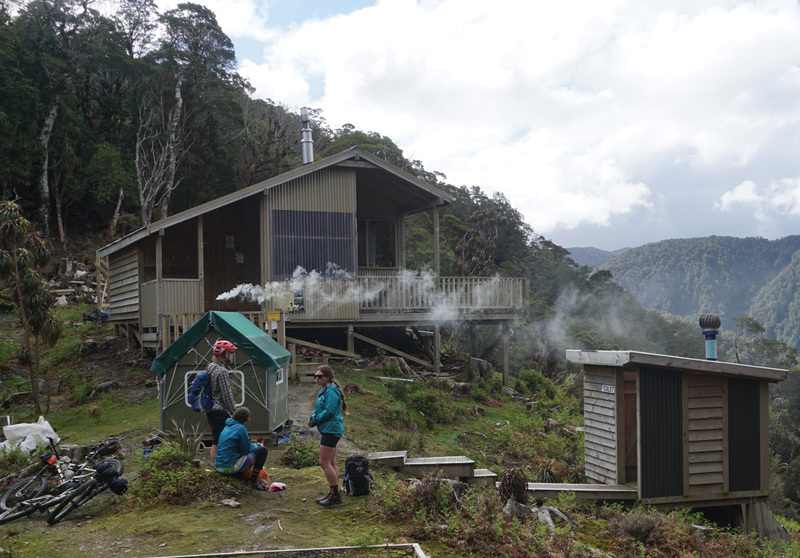 In an experiment, the Department of Conservation began to allow mountain bikers to use the Queen Charlotte and Heaphy Tracks during all but the busiest summer months, and both trails have been gaining popularity as hut-supported 2- to 3-day bikepacking routes. And as the experiment continues, the Heaphy Track is likely to soon be opened to mountain bikes for even longer each year. But popular trails, huts, and touristy towns are not necessarily what all bikepackers might be seeking. After a few weeks of bike touring, my partner Kaitlyn and I were craving an experience off the beaten path. Sometimes, it is the solitude, the wilderness, the feeling of being free to roam that makes bikepacking so special. Our travels up to that point had been afflicted by a series of setbacks–seemingly endless foul weather, a substantial earthquake, and then a serious knee injury. Before heading back to the States, we set our sights on the tracks in the Pisa and Grandview Ranges. Flying into Queenstown a few weeks prior, I stared wide-eyed out the airplane window at hulking treeless mountainsides and traced trails along the ridges and out of view. It was the kind of landscape I dream about riding across. And finally, a good weather forecast and a rapidly-healing knee told us to head for the hills. Connecting a series of gravel paths and some pavement out of Queenstown, it wasn't long before Kaitlyn and I turned onto a deserted double track cut into golden tussock-covered slopes. On the ridgeline ahead, dark spires of rock stood like ancient sentinels guarding the access to the heart of the mountains. The following morning, those spires permitted our passage unwaveringly, but I could feel that we were treading on their domain. As the low clouds cleared, the sea of the Southern Alps spread out before us in all directions. We pedaled on past a seldom-used hut on rather forgotten trail, camped alone among more stone gargoyles, and battled gale-force winds across the desolate and expansive summit of Mount Pisa. Kaitlyn and I felt isolated and small in that place, feelings that had been completely absent on the well-traveled trails farther north. After descending nearly a vertical mile out of the mountains and enjoying some much-needed ginger beer and chips at a small hotel pub, singletrack along the vibrantly blue Clutha River aimed us toward the aptly named Grandview Range for the conclusion of our trip. The Department of Conservation had recently opened up a steeply rolling route of private farm tracks along the crest of these mountains. We climbed up the ridgeline and meandered through tussocks and meadows while marveling at the stellar views, and on our final night of camping, the mountains treated us (and a few flocks of sheep) to one of the most striking sunsets I can imagine. With the closest towns far below us and no sign of anyone else on that ridge, we once again felt the solitude and mountain magnitude that we've come to seek among peaks. I left New Zealand inspired by–and with admiration for–how so many individuals there have embraced bike touring and for the ways the government has supported the development of dozens of cycling and bikepacking routes. The popularity of many of these routes is bringing increased tourism and business to small towns and is introducing more folks to multi-day bike trips. And for bikepackers looking to get off the beaten path and into more seldom-traveled country, there are always ample options for creating your own dirt adventure.